Includes: One White Widow Blood Masquerade Adult Mask. Available Size: One Size Fits Most Adults and Teens. *Costume and Accessories Not Included. Sold Separately. White Widow Lost the Shoot Out. 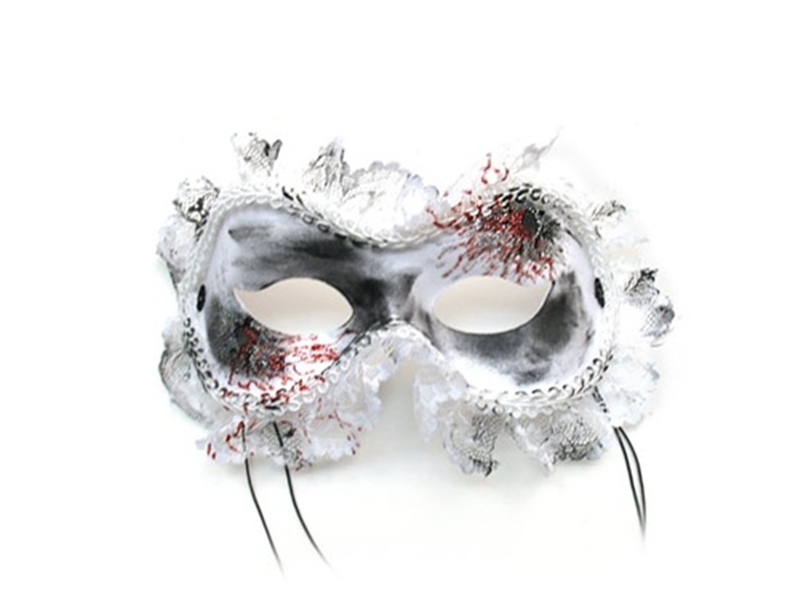 A white Fashion mask is trimmed in white tattered ruffled lace and a narrow white braid. It is smudged and hand painted with glittery smoky and bloody bullet holes. Secures with an elastic band.